The familiar feeling of holiday anxiety might be creeping up as vegans and vegetarians all over the country prepare themselves to deal with conjuring a Thanksgiving meal that both pleases family and aligns with their diet and beliefs. The good news is, everything has delicious vegan alternatives. And I mean everything. If you are new to veganism or plant-based dieting, and have in the past shied away from such concepts as “Tofurky,” you’re not the only one. However, vegan turkey has made enormous strides over the past couple of decades, just like the rest of the vegan meat and dairy substitutes market. Don’t panic, you’re in good hands. 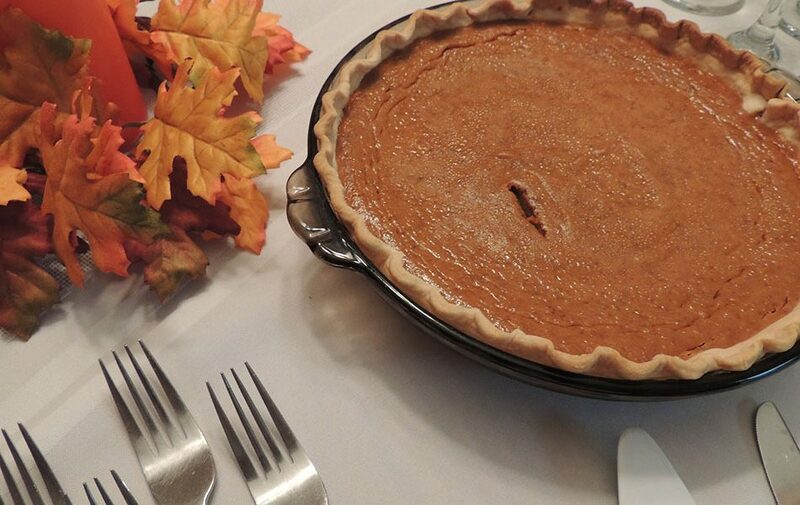 Here are some essential tips for celebrating Thanksgiving 100% vegan. Don’t feel compelled to go out on a limb and test bizarre and exotic vegan dishes you’ve never heard of before just to feel like you are being a “good” vegan. It’s perfectly alright to indulge in a few meat substitutes, pastries, and comfort foods once in a while. The best part is, a majority of fake meat and other processed vegan products are still better for you than their meat and dairy counterparts, so you are still eating healthier than you would be anyway, were you not vegan. A bit of increased sodium and a few vegetable-based binding agents is nothing compared to the havoc that acidic animal protein wreaks on the body. The point of Thanksgiving is being thankful for what you have, first and foremost. But it’s certainly not a day when you should count calories or eat only a salad. So don’t skimp on what you love. That being said, if there are some Thanksgiving foods that you love yet can no longer have, you’re in luck. Comfort foods like the kind typically enjoyed on Thanksgiving are some of the easiest to veganize. Turkey substitutes being the prime example. If you’re looking for a solid list of some of the best turkey substitutes on the market, I highly recommend checking out this list of the best vegan turkey substitutes by The Spruce Eats. The Harvest Celebration Field Roast has exploded in popularity in recent years for its taste and quality, so it’s our personal recommendation. Don’t think your food choices are limited once you go vegan. If anything, you get to experience real comfort food for the first time. Imagine eating your favorite foods without a vast majority of the unhealthy side effects attached to them. That’s vegan comfort food in a nutshell. Most of the recipes and ideas listed above are actually rather healthy, which is more than we can say for the majority of typical Thanksgiving eats. It might be customary in your family to bring a dish to holiday gatherings, or if you are the one hosting, you have to cater to everyone’s whims and make sure everyone is pleased. We have news for you: there’s always that one person who won’t like your decision to become vegan, because they are stuck in the sunken place. There’s something about going vegan that presses some people’s buttons. The guilt complex that some harbor over the eating of meat is most evident when you casually proclaim that you no longer eat it yourself. It’s like treading on the Gospel. This is because many of us inherently know it is wrong. Eating shouldn’t have so many “personal” strings attached to it, but our society has done a job making food choice and “taste” a deeply personal, ego-related issue. Some take great offense at the mere idea that the food they eat might be harmful or cause abuse and destruction. You’re not going to win these people over in a day or even a year, so don’t get too hung up on trying. If you are a host this holiday season or need to bring a dish to a family gathering, just do your best to cook out of love and accommodate the people around you within your means. Don’t, however, lose sleep over trying to please everyone and wonder if you should compromise your values and make food that has meat and dairy just to please others. If you have no qualms with this, do it. But if you rather not, that’s your decision as well, and your friends and family should respect it. The bottom line is, Thanksgiving should be about being thankful. If people harp on you for your dietary decisions and good food that you make that they won’t eat just because it is “vegan,” they are obviously not being thankful for what they have. That’s their problem, not yours. Likewise, don’t feel miffed if some people snub your vegan cooking. Do your best to make great tasting dishes, but remember that even the idea of veganism turns some people off, because they are so caught up in their own personal guilt and issues. You can use holidays like Thanksgiving to spread vegan awareness, but do it subtly. Provide people with good food and you never know where the conversation might lead. Sometimes in the craziness that occurs during big holidays, it’s easy to forget some important elements of self-care, dieting, and multitasking. Here are a few more friendly tips to help you navigate (Faux) Turkey Day. You don’t owe anyone your vegan story. It’s generally not a good idea to talk about the plight of turkeys if you have to go to a family member’s house that’s serving it. Focus on making decadent comfort food that you know even the pickiest of eaters would eat, you have a higher likelihood of helping people “try” veganism this way. Likewise make recipes you know won’t have you stressed out and multitasking like an octopus. A store bought tofu turkey and vegan holiday nog can go a long way. Don’t put yourself in uncomfortable situations. If you know your family is hostile to your vegan views, don’t bother visiting them. Spend the holiday with friends. Trust me. Most of all, don’t overthink the day. If you find yourself stressing over what vegan food to make, how to please people, how to do everything on time, etc. you’re doing it wrong. Holidays should be about relaxation and fun, as well as self-care. Instead, holidays have a tendency to cause stress due to all the artificial problems that we create for ourselves. If anything during your holiday season is making you cringe out of anxiety, you aren’t doing it right, vegan or otherwise. Take time out for yourself, enjoy good food, and help others see how tasty and better a plant-based lifestyle can be if given the chance.